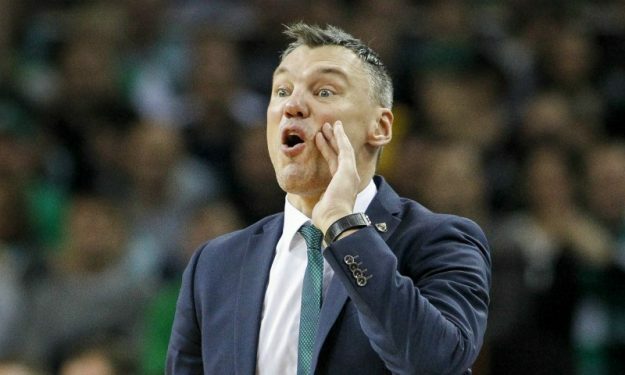 Zalgiris Kaunas was not satisfied by the calls in the game against FC Barcelona Lassa and Sarunas Jasikevicius explained why he didn’t talk about the refs after the game. While there have been some questionable calls in the game between Zalgiris Kaunas and Barcelona, coach Sarunas Jasikevicius didn’t want to touch this topic and when asked by Lithuanians journalists he explained why. As Donatas Urbonas reports, the reason was simple: “You know the rules. I don’t want to pay money for nothing. I don’t understand why are you asking me about this. Bring money (for the fine) and I will tell you everything”.